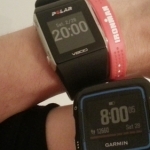 Between the FR235 and the 920XT was a gap..
Last month Garmin announced the Forerunner 735XT and in this blog post I’ll try to show what’s new, what’s good and what’s not so good (if I can find that). It’s all based on my research online as I haven’t had the chance to actually try it out. 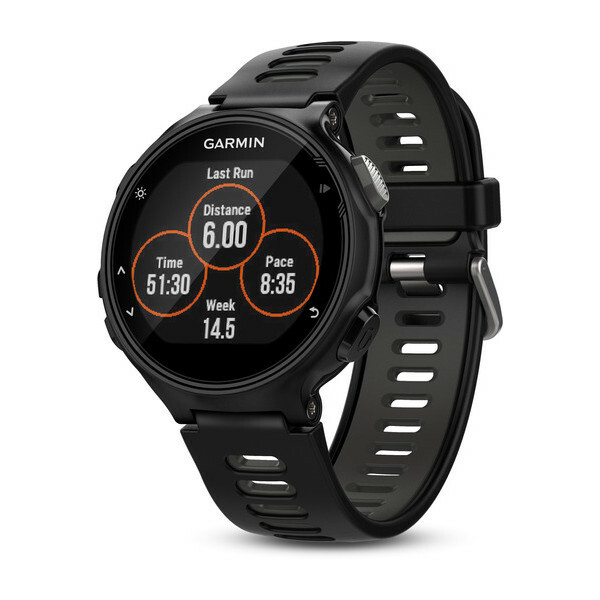 When you break it down, you can basically say it’s the mix between the Forerunner 235 and The 920XT. 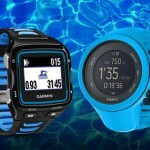 It’s small, multisport and has a built in HR monitor. Unlike the 920XT the Forerunner 735 sports a more sophisticated look, more like the 220/235, and taking the latter, you can still get a very bright “midnight blue” but the black is exactly what is says, black. It’s also quite a bit smaller than the 920xt, thinner and lighter. The latter is probably saved on the battery, more on that later. The screen is a multicolor with 215 by 180 pixels, exactly the same as the 235XT, same diameter too. My guess is, it’s the exact same screen. Interestingly, compared to the Garmin 225, the 735XT does not seem to have an extra rubber ring, but a more bulgy type of HR monitor. This is still very slick and smooth and you won’t notice it, but I wonder why Garmin decided the rubber ring was not worth being put on the 735XT. It seemed to work pretty well on the 225, but maybe it wasn’t needed? I’m not concerned about proper measurement, with the little bulge, the HR monitor is likely to sit very well on your wrist. Otherwise the rubber would have made it’s return. While the 735 is a very lightweight model, coming in at only 1.4 oz (40 grams), compared to the 920xt of 2.1 oz (61 grams), the battery is still pretty good, considering the watch has a built in HR monitor. 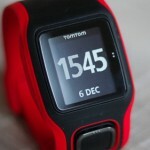 You can get up to 24h in Ultra Trac mode, this is without using the HR sensor and up to 14 hours with the HR sensor. Probably just enough for your full triathlon distance. As a watch it will last for about 11 days, when actually using the tracking, HR and smart notifications. That’s more than a week so pretty cool. Here is the interesting part, the recommended sales price is the same as the current for the 920XT. And it seems to support all the features of the 920XT except that it can’t be mounted on a bike. 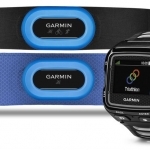 But it does have a HR monitor. So if you don’t need the long battery life of the 920XT, the 735 is definitely worth a look.